Carlton's Madison Prespakis and Fremantle Docker's Sabreena Duffy are the round 2 AFLW Rising Star nominees. Prespakis' nomination comes after she impressed in round 1 in the midfield and she continued this impressive form in round 2 for her Blues in their loss to the Crows. She finished with stats of 20 disposals, one goal, 13 kicks and seven handballs. 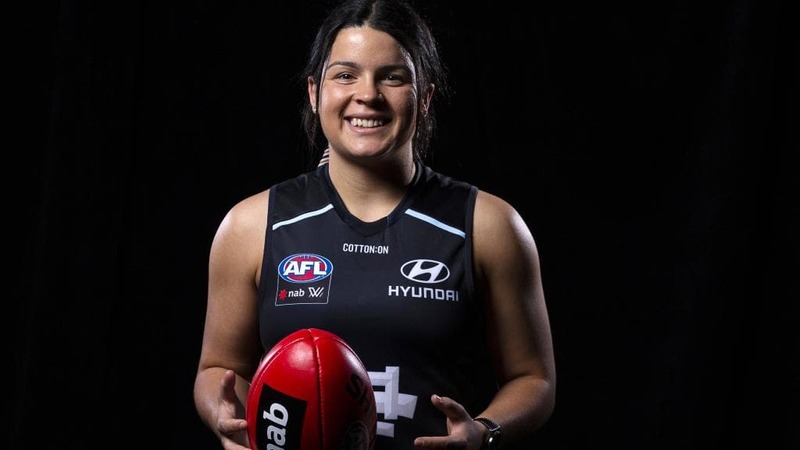 Prespakis was selected by the Blues at number 3 in the 2018 AFLW draft. Duffy was nominated after a good debut in round 1 and she topped it off in round 2 in the win over the Lions. The Lions had no answers for Duffy up forward who ended the match with two goals, two handballs, nine kicks and two tackles. Duffy was taken at pick number 17 in the 2018 AFLW Draft. Prespakis and her teammates will play against the Giants at Blacktown International Sportspark on Saturday afternoon. Duffy and Fremantle will face Collingwood at Fremantle Oval on Saturday night.